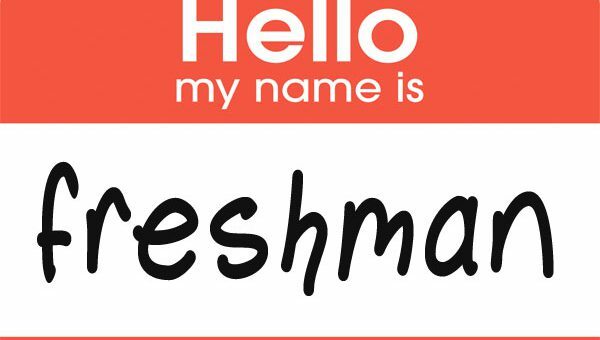 Your college’s freshman orientation is the first major step you will take towards beginning your college education. This is definitely a hectic experience for most of us as it involves meeting your ‘would be’ classmates, professors and generally getting familiar with the campus and policies. You may prefer the comfort of a personal car to avoid the hustle bustle of Ann Arbor city. Efficient transport facility for freshman orientation is definitely a concern especially if your college is away from your place of stay. Most colleges try to make this important initial contact interesting and memorable but it mostly includes getting your college identification, class registration and getting university email address. Of course, it depends on you, the student to maximize this experience of freshman orientation and make the most of this opportunity. Reach in time for the orientation by hiring a luxury cab and make an impressive entry into the campus, while also avoiding the usually crowded traffic and packed whereabouts of University of Michigan area during the orientation times. Plan Ahead: The college website is the best way to understand what to expect at the orientation. Most colleges give detailed explanations of the events lined up and these include the activities planned, the paperwork required, your stay details and the registration formalities. Remember to check the fall semester course schedule to know about degree needs and courses being offered during the fall along with the transport facility for freshman orientation. Make lots of notes: The College will give you a lot of data and information pertaining to policies, rules, college resources, class registration are a lot of other stuff which may be boring but very useful for your entire college years. Make sure you put down a lot of notes. Carry a notepad or your tab and it will surely be worth the effort. Do not forget your knapsack in the car, though! This stuff could be significant and surely not to be missed. Chip in into all activities: Colleges plan the freshman orientation so that the students get into the groove before they actually begin college and hence they include movie nights, field trips, games etc. Participate fully so you get to know your classmates and bond with them. This could be an amazing opportunity to make a lifetime bond with probably soul mates you never knew existed. Make that effort: Like you, every person who has traveled to the orientation by car, will be awkward and truly feeling like a fish out of the water. So you are not the only one with that weird feeling. However, it makes great sense to move out of your comfort zone and extend the olive branch to those new classmates of yours and try a new activity together. Remember they are as awkward so it’s a difficult time for them too and everyone appreciates a person who makes the other feel comfortable. The Freshman Orientation programs conducted by colleges includes Parent and Family Orientation programs too so don’t forget to book a luxury car for the entire family to travel together. The duration of the family orientation is normally lesser than the student’s so you can expect your parents to spend at least two days as opposed to your three-day schedule. Parents or other family members should ensure that they attend these sessions and spend maximum time as possible to get the most out of it. This may not be possible sometimes due to erratic work schedules but the fall semester orientation does give an opportunity for the family to be together on the campus which is truly a unique experience. If you hire a cab, don’t hesitate to ask the drivers for the best places to eat, visit and have night-outs and have fun on the weekends. They usually should have a good amount of information that can cut you a lot of effort settling down in the U of M campus area.